5am: Veterans assemble at Redlands RSL. 5.30am: Dawn service commences at the cenotaph. 10am: Parade assembles in Middle Street, between Island and Fitzroy streets. 10.30am: Parade marches to cenotaph in Anzac Memorial Park. 11am: Commemorative service commences at the cenotaph. Enquiries to Redlands RSL on 3488 1199. 4.45am: Veterans assemble in Banana Street, near Redland Bay Community Centre. 4.50am: Veterans march to cenotaph in Neville Stafford Park. A breakfast by gold coin donation will be held after the service at Redland Bay Community Centre for veterans and their partners only. 4.45am: Veterans assemble at the butcher shop in Welsby Street, Dunwich for the march to the cenotaph. 5am: Memorial service commences at the cenotaph. A traditional gunfire breakfast will be held after the service at the RSL club in Mallon Street, Dunwich. 10.30am: Marchers assemble at the Little Ship Club for the march to the cenotaph. The RSL bus will be available on the day; bookings essential by 3pm on April 24. Enquiries to the RSL on 3409 9318. 5am: Veterans assemble in Kate Street. 5.15am: Veterans march to the cenotaph in Pat’s Park. A gunfire breakfast will be held after the service at the cenotaph, followed by fellowship at Club Macleay (bowls club). 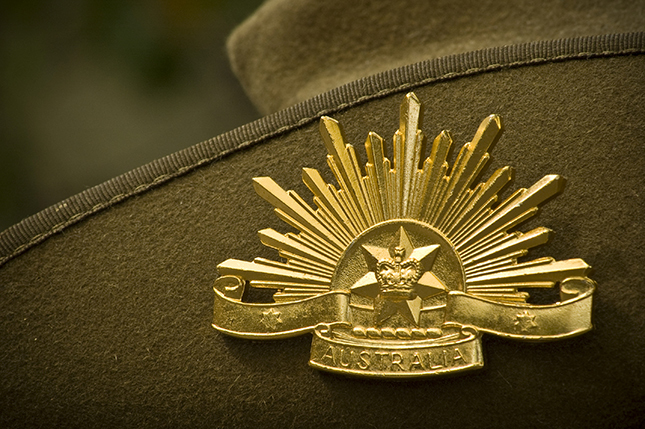 ARRANGEMENTS are well in hand for Anzac Day 2014. Information is available from RSL Headquarters, Bay Breeze magazine, Redlands RSL website or club reception. If you or your organisation wishes to lay a wreath at either service, please advise on 3488 1105. On Thursday, April 24 from 9am, ladies from ex-service groups will make posies with poppies and rosemary at the Veterans Centre. Anyone with rosemary, please drop off that morning. Phone and make arrangements for any veteran who would like transport. Contact 3488 1105. ANY person or organisation wishing to lay a wreath at the Dawn Service at Redland Bay, please contact John Clifton 3206 9524 or Bruce Robinson 3207 8495 from the Redland Bay South RSL Sub Branch.